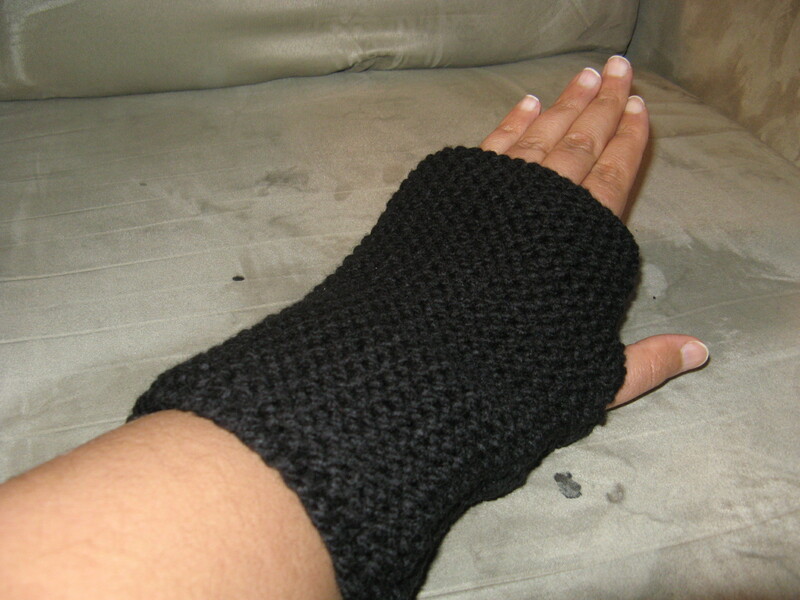 Not too long ago I came across a pattern to make fingerless mittens in a Martha Stewart magazine. 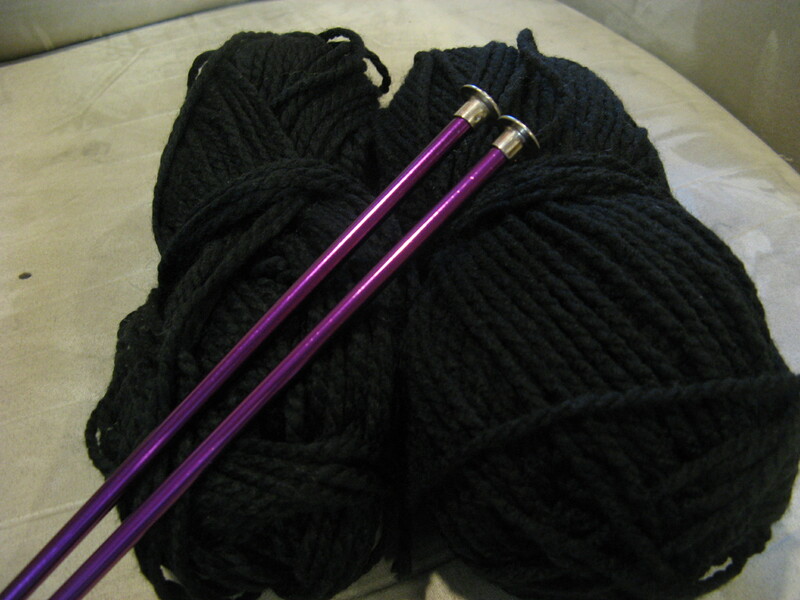 I made myself a pair using Lion Brand Wool-Ease Thick & Quick Yarn and size 13 knitting needles. I was very happy with the result and recently made another pair as a gift. I decided not to use such a thick yarn the second time around and opted to use Patons Shetland Chunky Yarn and size 10 knitting needles. 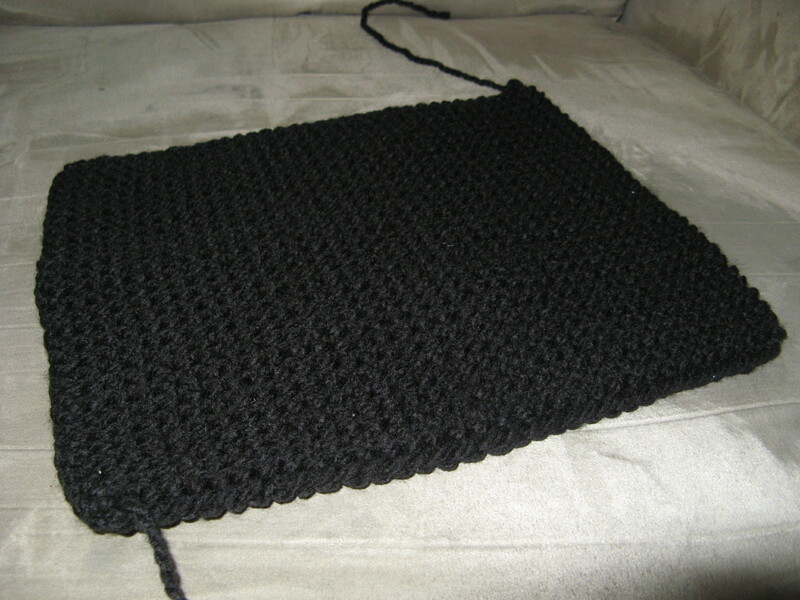 I knitted two of these rectangles by casting on 36 stitches and working in garter stitch (knitting every row) for 8 inches (59 rows for this specific yarn). Once the rectangles were done it was time to sew them up – create a seam – so these blocks of knitted yarn could actually become mittens. 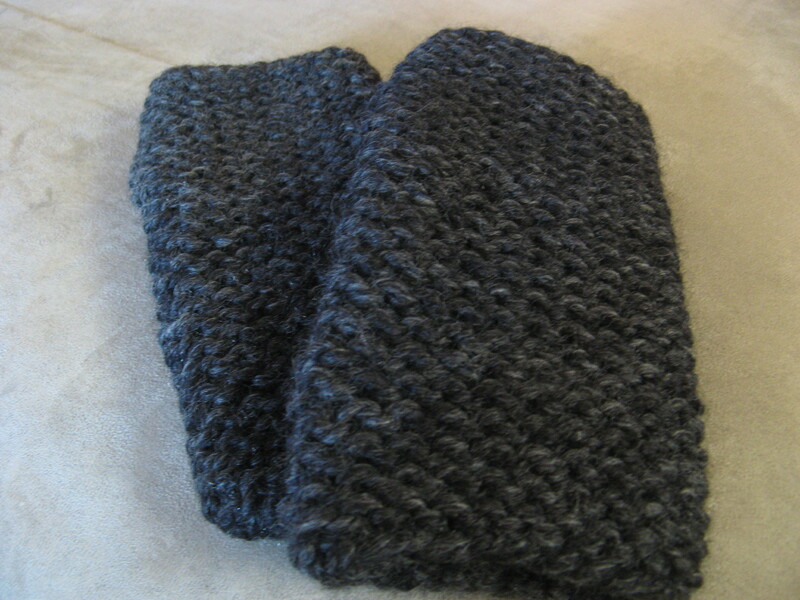 I folded them vertically so you would still be able to see the garter stich pattern running horizontally along the mittens and started sewing from the wrist part towards the fingers, making sure that I left a space for the thumb. One thing to note, when you sew make sure you are sewing on the side that would be considered the inside (wrong side), if not, you will end up with a finished product with a visible seam. But, if you do like the look of a visible seam try something different and create the seam using a contrasting yarn color to the one you chose for the mittens for a different look. Overall I was happy with how they came out. 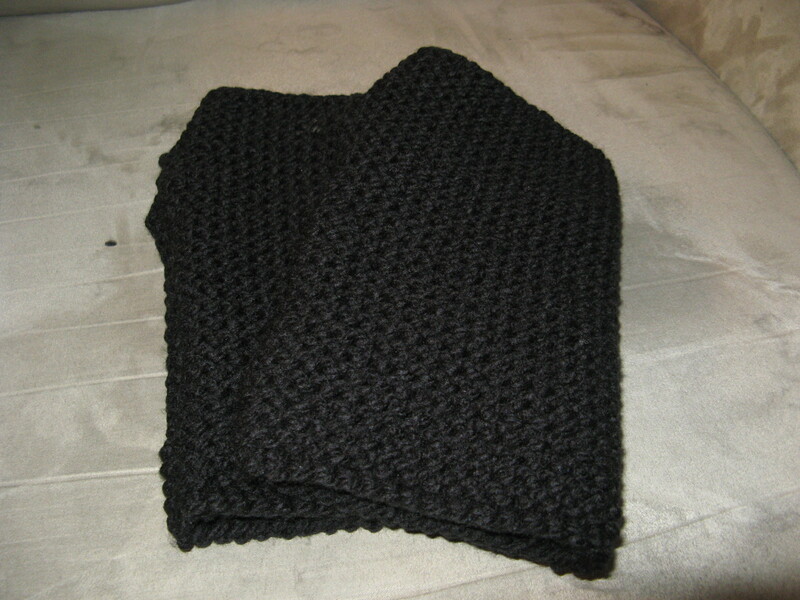 One thing though, since I did use a thinner yarn they were a tad bit bigger than the ones I originally made for myself. But, since the person I gave them to has a larger hand than me they were perfect fit for them. 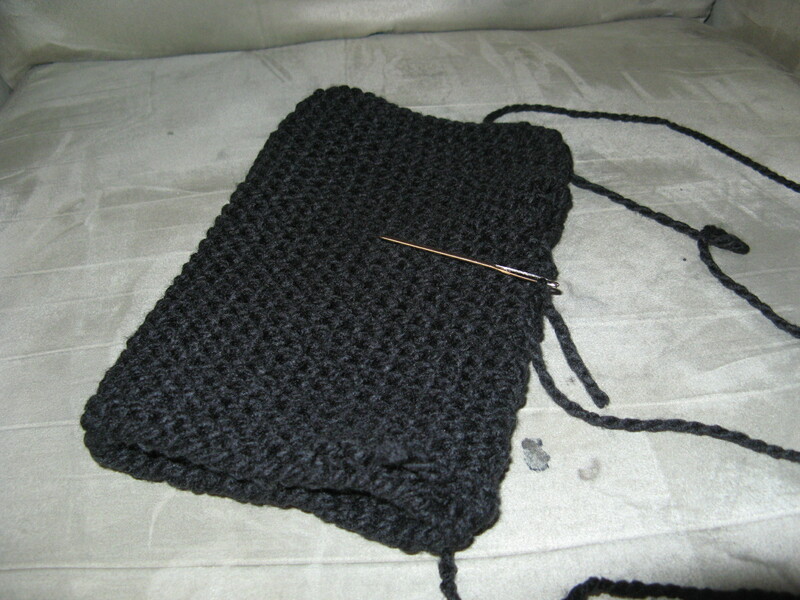 If I were to make myself a pair using this type of yarn I would definitely cast on less than 36 stitches to start the rectangles. I would probably go with something like 30 stiches to get a more snug fit. You can find the specific pattern on the Martha Stewart website – while the title does stipulate Child’s Knit Hand Warmer, the description has the modifications for the adult size.